Through Lillie’s established network, she keeps her finger on the pulse of equestrian properties in North Carolina as well as the horse farm country of upstate South Carolina. Lillie Brown and Tryon Horse Farms have assisted horse enthusiasts, breeders, and equestrians from around the nation. Our buyers have been delighted to find charming and fully appointed horse farms in this spectacular mountain region that offers cool summers, mild winters, and breathtaking vistas. Our Equestrian Communities display, with pride, the efforts given to maintaining wonderful open spaces, meadows and pastures at the foothills of the Blue Ridge Mountains. Lillie Brown has hands-on experience with North Carolina and South Carolina horse farms and the local equestrian community and understands differing property requirements for dressage farms, reining and cutting horse operations, lay-up facilities, and hunter/jumper training centers. A horse lover’s paradise for all disciplines! The Carolinas — Known for scenic countryside, rolling hills, sweeping mountain views accented by year ’round equestrian and outdoor activities. 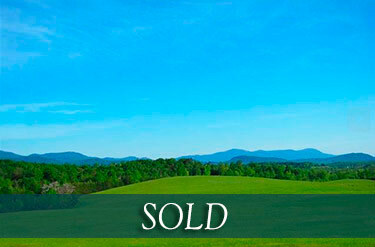 Truly one of the most spectacularly beautiful farms in the Carolina Foothills. This tract includes 2 ponds, a quaint log cabin, 40+ acres of manicured hay fields or pasture, a waterfall, board fencing and hardwood trees. It boasts public water and irrigation well in place. Prime horse property with breath-taking mountain vistas. Located nearby to villages of Landrum, Tryon, Campobello and Columbus. Short drive to Greenville, Spartanburg, Hendersonville and Asheville, this is a very sought-after location.